AiClay - a Haven of Miniature Food: An ice cream cone. Even as we enter the last quarter of the year, we inhabitants of the sunny island of Singapore will not be spared the summer heat. 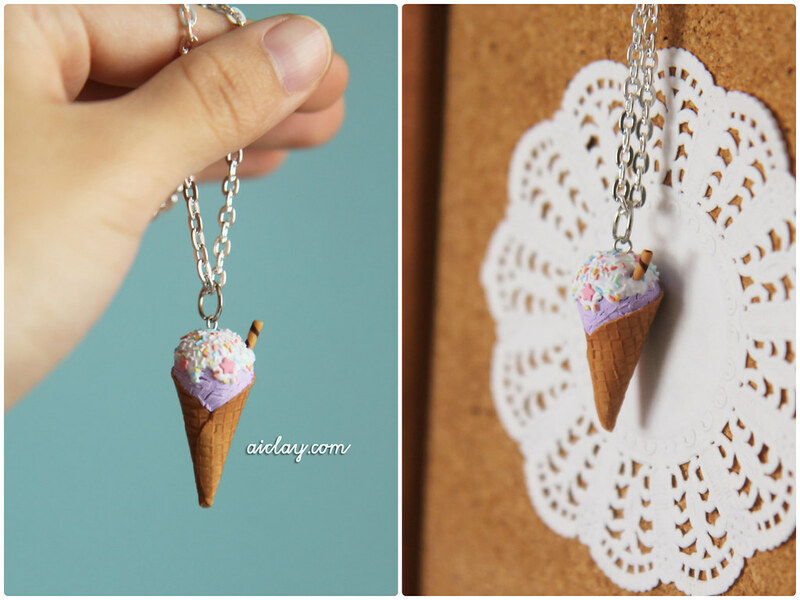 While we can't be treating ourselves to ice cream everyday, an adorable ice cream charm will help cool us off. Come make these lovely charms (to be made into necklace or accessory straps) with me, at the charming BFF Zakka Store. Seats are limited, so register quickly! 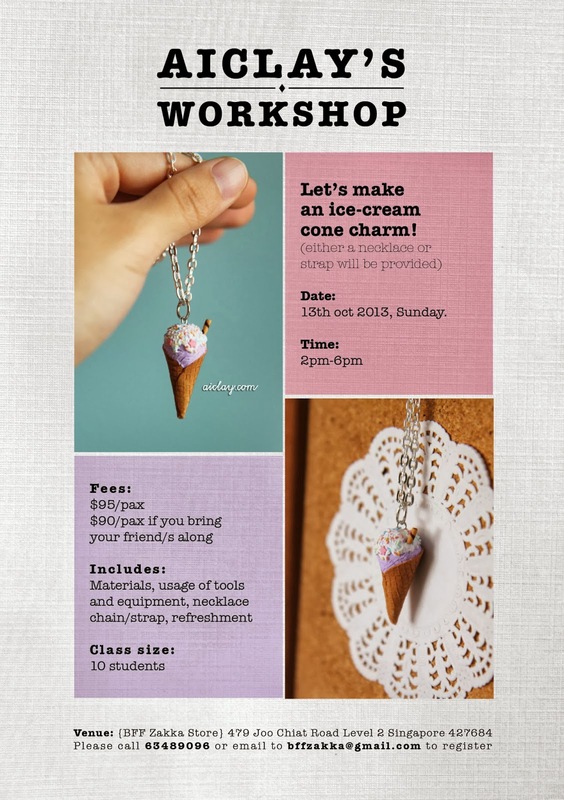 Email bffzakka@gmail.com to book your slots. Remember that bring-a-friend discount still applies! Photos taken by AiClay, poster designed by BFF Zakka. These few weeks have been a whirlwind of activity for me as I've packed many workshops and events to exhibit at. Plus, I'm in the 'sculpting and packing' phase of the Minion Project so it's a bit bonkers at the home studio right now. Time is just flying by everyday, one second I'm eating breakfast the next time I check the clock it's already 4pm and I'm still buried in my sculpting. But busy is good. :) One day, I'll write another heart-to-heart about the internal struggles I was constantly battling during the first 2 years of starting AiClay, and it had a lot to do with NOT being busy. So yup, I see my packed schedule as a blessing. Also, I don't know how many of you are subscribed to AiMail, but in the most recent issue I sent out, I asked for travel tips for New York and Toronto, Canada since I'll be heading there this December! Do you think it'll snow, for the sake of my travel companion I really hope it will. :) It'll be like nature's birthday present for him as his birthday falls on Christmas Eve.